This Campaign is run to bring into focus the causes leading to Navigational accidents that have occurred in the fleet. Approximately 8 case studies are taken dealing with collisions, groundings, anchoring errors and accidents caused to due Weak master-pilot interaction. The campaign has been found to be very effective in highlighting navigational errors both technical and human as they depict realistic scenarios. The case studies complete with time sheet, statement of fact, copies of logs and digital printouts are given to officers and the group leader presents the "immediate causes", "basic causes" and "corrective action" to be taken. Overview of the why's of collisions and groundings. 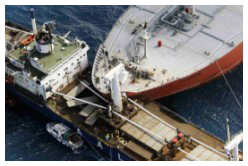 Analysis of Navigational Accident Cases. Presentation of Root Cause Analysis. Reiteration of best practice during navigational watch. To highlight the various causes that have lead to navigational errors which in turn resulted in serious accident. To carry out a root cause analysis of numerous case studies to arrive at the basic causes that lead to collision or grounding. 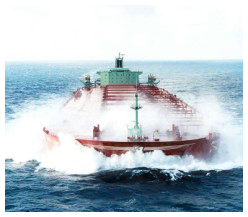 Lessons learnt to be applied in practice when on board ship.